If you live your whole life being who everybody else wants you to be, how do you know who you really are? Nineteen-year-old Aaron Rutherford is already reeling from the loss of his mother, when the unexpected revelation of a dark secret from her past changes his world forever. Forced to question everything that he has ever believed, should he simply follow the path that has been laid out for him, or will pursuing the truth help him to find what has always been missing? As the tangled web of lies unfolds and uncertainty takes over, a startling chain of events are set in motion that will see Aaron make the journey of a lifetime to discover not only who he really is, but ultimately who he wants to be. Awarded a B.R.A.G. 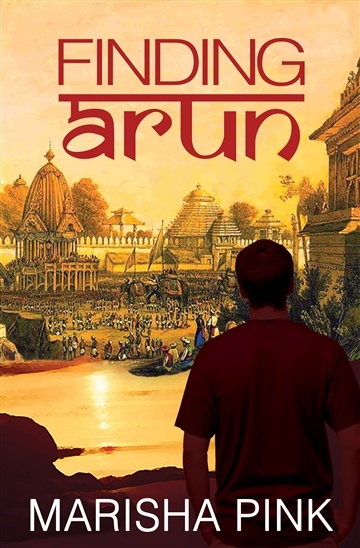 Medallion and shortlisted for the inaugural Quagga Prize for Literary Fiction in 2014, if you love engrossing books that will take you on a journey, download Finding Arun now. "A wonderful, absorbing debut. This is a page-turner, thrusting you into a rich, vivid tale of love and discovery." "A very colorful story with the right amount of suspense and emotions that makes it an engaging read."